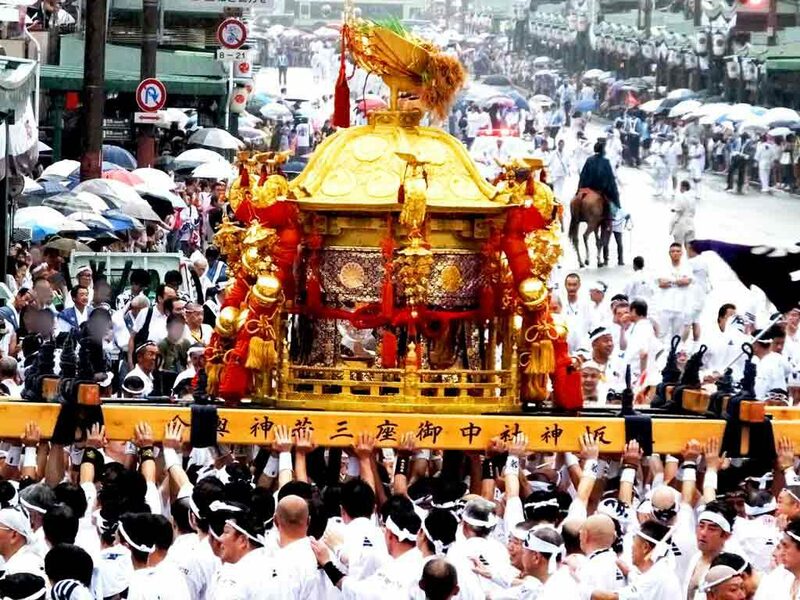 Mikoshi-arai (mikoshi portable shrine purification) was held on July 10th. 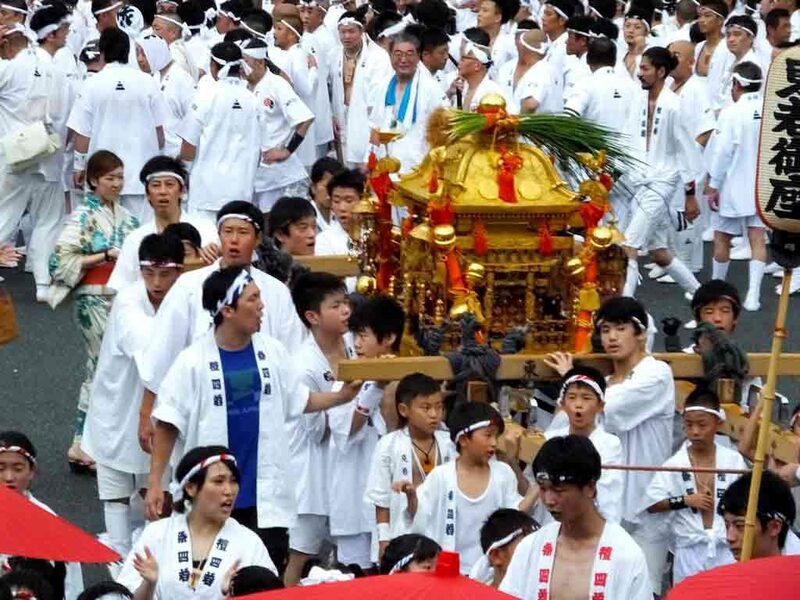 You can see the purified mikoshi again at Shinko-sai festival held on the 17th. 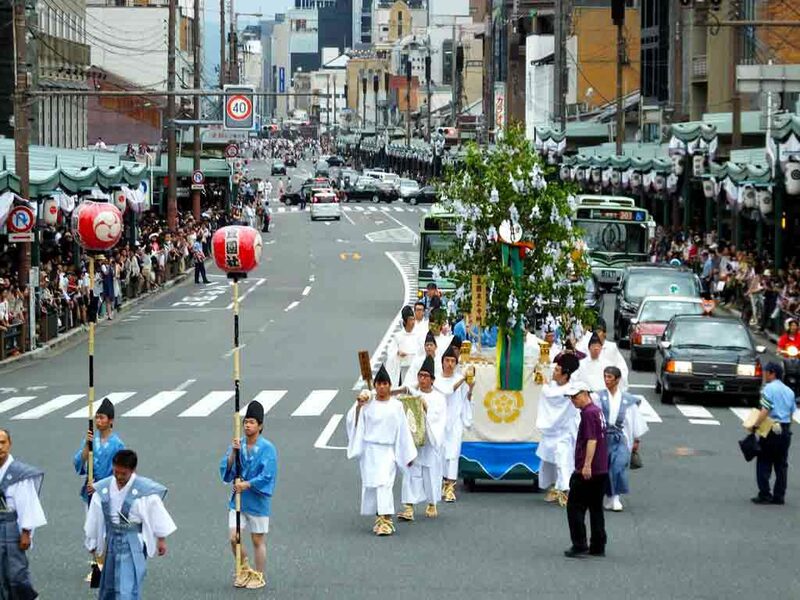 Shinko-sai is an annual event known as a very energetic festival of men. All of four mikoshi (including the one carried by children) of Yasaka Shrine gather in front of the shrine. Around 4:00 p.m, I went to get a spot for taking pictures. 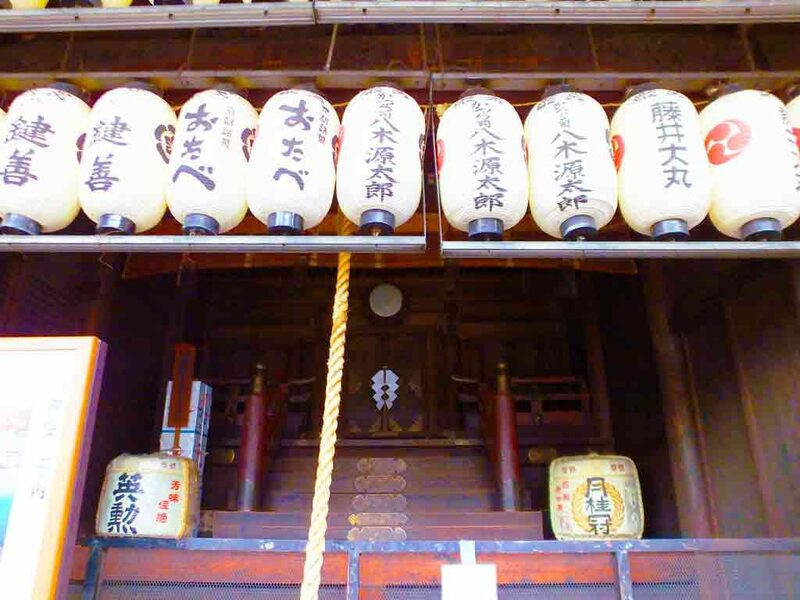 The greatest spot is on the stairs at the entrance of Yasaka Shrine. It was already so crowded, but I made it at the last minute. The mikoshi come around 6:30 p.m, which means, I had to wait for 150 minutes. Thanks to that, however, I was able to see the opening parade very well. Here comes the mikoshi! 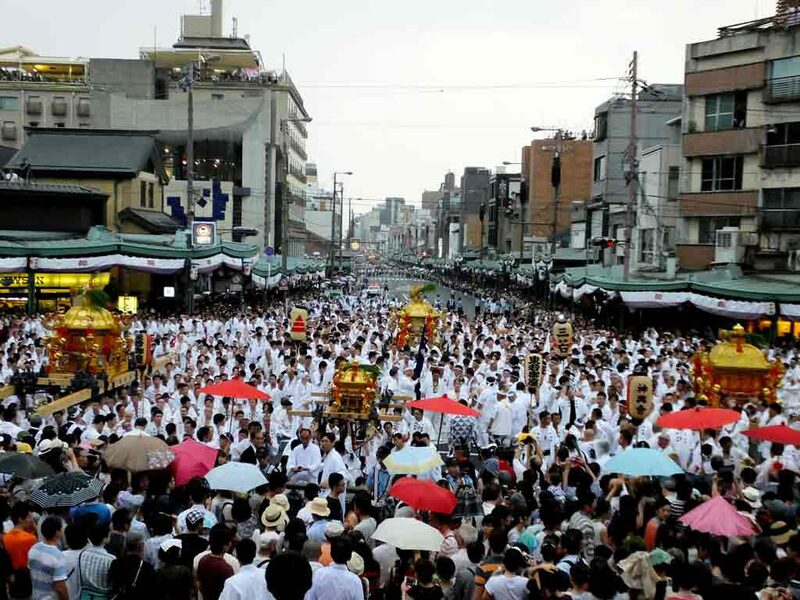 More than 1,000 men gathered in front of Yasaka Shrine. Their powerful voice made us excited. Children carried their mikoshi, too. I believe they will grow up to be strong mikoshi carriers. The Mikoshi are heavy and long. If they make one wrong move, someone may get injured. Lots of the men were wearing hachimaki headbands to get on the ball, and also fired up. 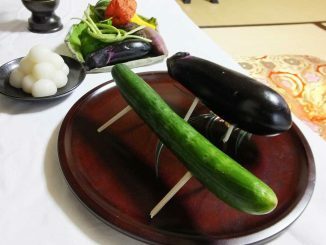 A bundle of rice plants was tied to each mikoshi to drive away evil spirits. After the festival, people bring the rice plants back home and hang them at the doors. Some people brew and drink them wishing a good health. 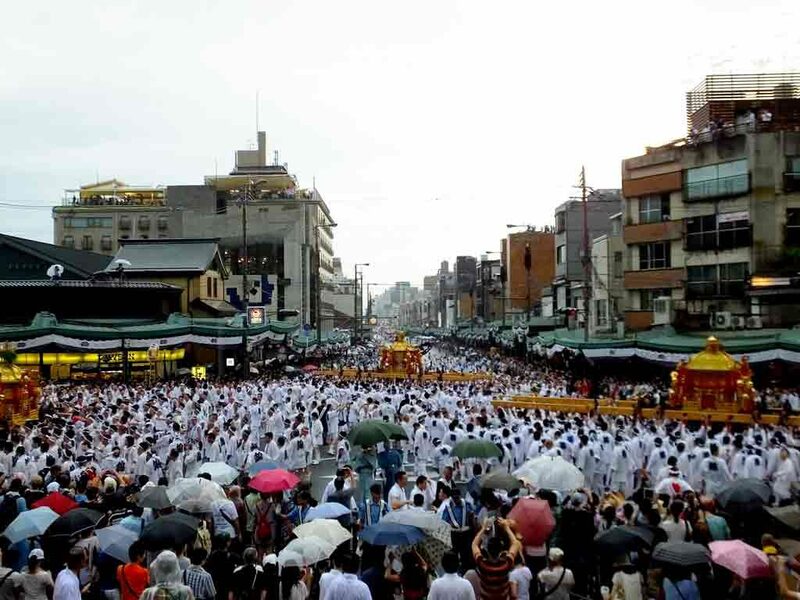 The numerous mikoshi carriers massed in one place and became quiet. Then they took down their mikoshi and sat down themselves, to listen to the addresses of those who are in high positions. During the addresses, the rain got heavier and heavier. When the addresses were over, all the mikoshi carriers stood up to shoulder each mikoshi that became wet and heavy. 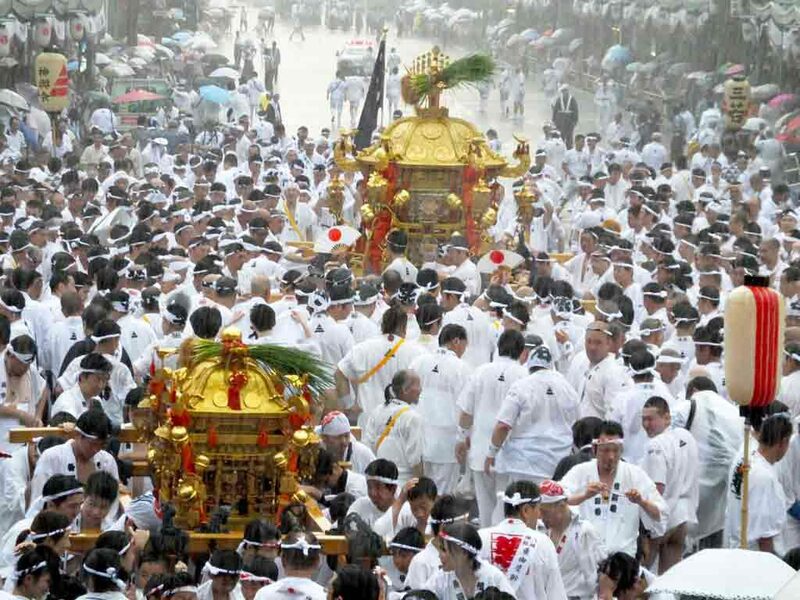 The ground became slippery, and carrying the mikoshi in the rain seemed very tough and dangerous. 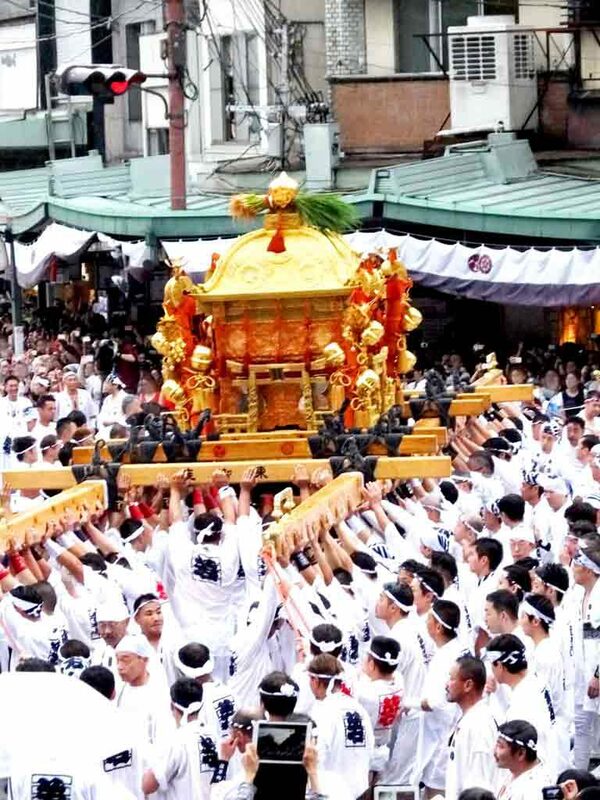 The mikoshi carriers, however, looked all the more powerful and cool because of the difficult situation. 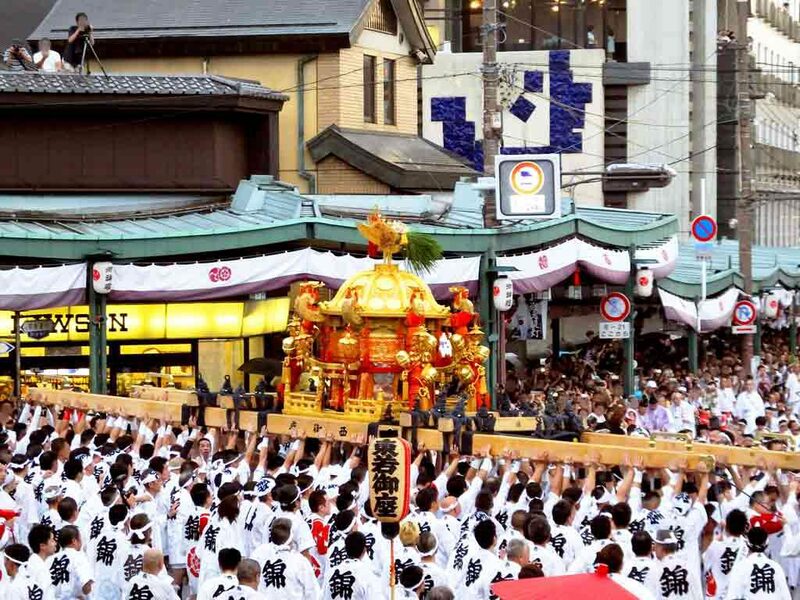 The highlight of Shinko-sai is “Sashiage” where the three main mikoshi are lifted up high. “Sashiage” must be strenuous work. Nonetheless, the mikoshi carriers were in perfect synchronization, and raised the heavy mikoshi above their heads. Splendid! 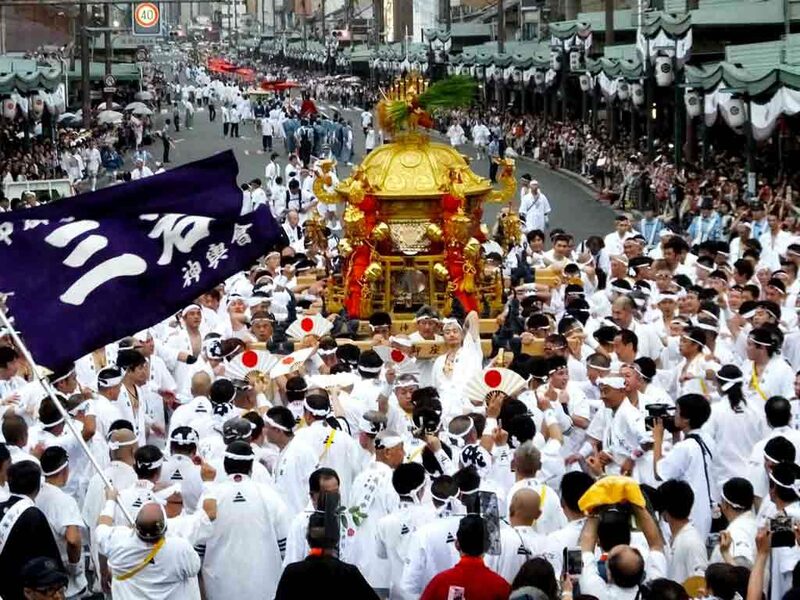 The next mikoshi is the one purified at Mikoshi-arai held on July 10th. 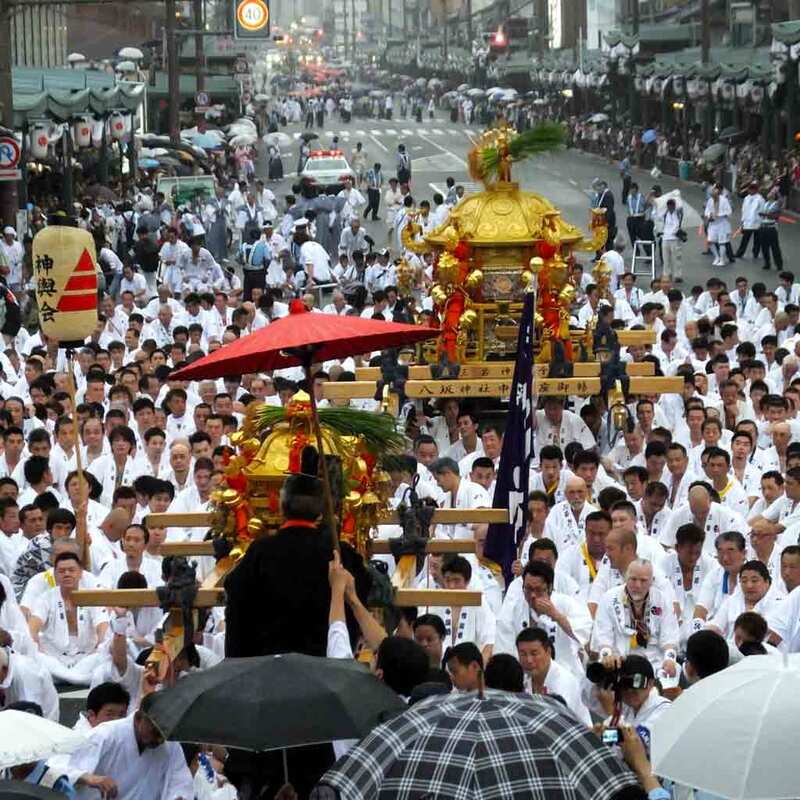 It is believed that three different deities are on each mikoshi. 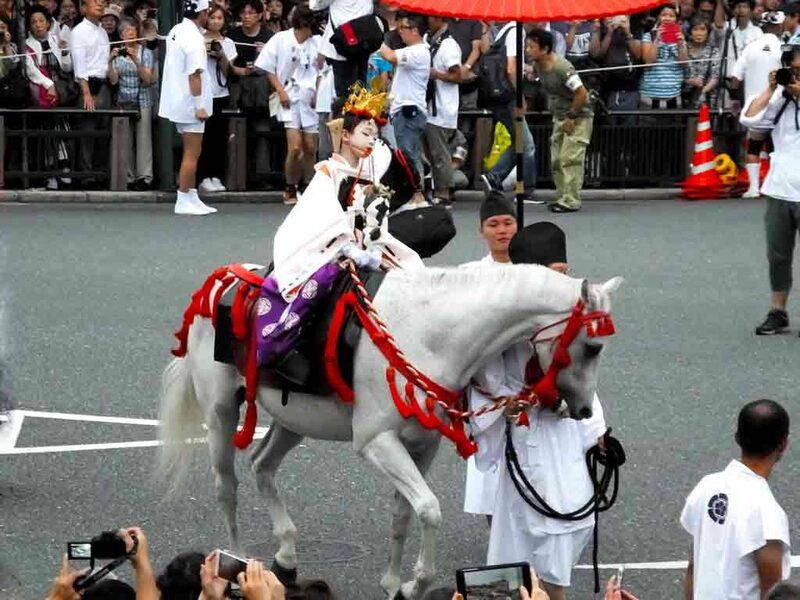 The mikoshi carriers need to show their spirit. They were shouting out “Hoitto! 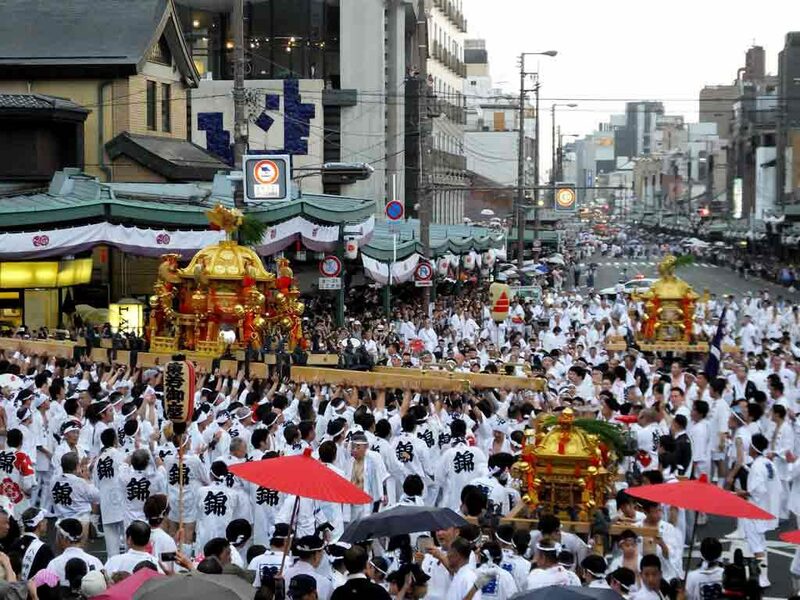 Hoitto!” to come together, in the same way as at Mikoshi-arai. Soon after “Sashiage,” all the mikoshi were rotated clockwise. How powerful! 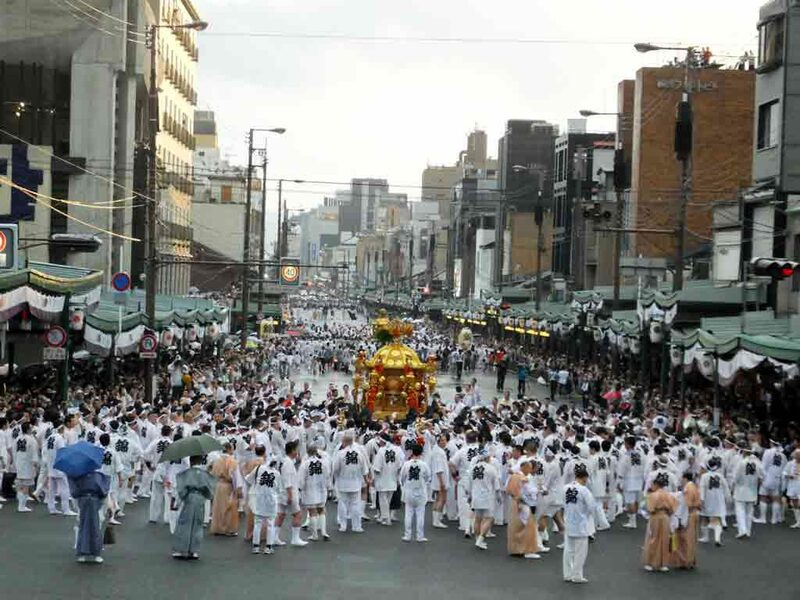 After that, each mikoshi went through each complicated route to one destination located on Shijo Street. 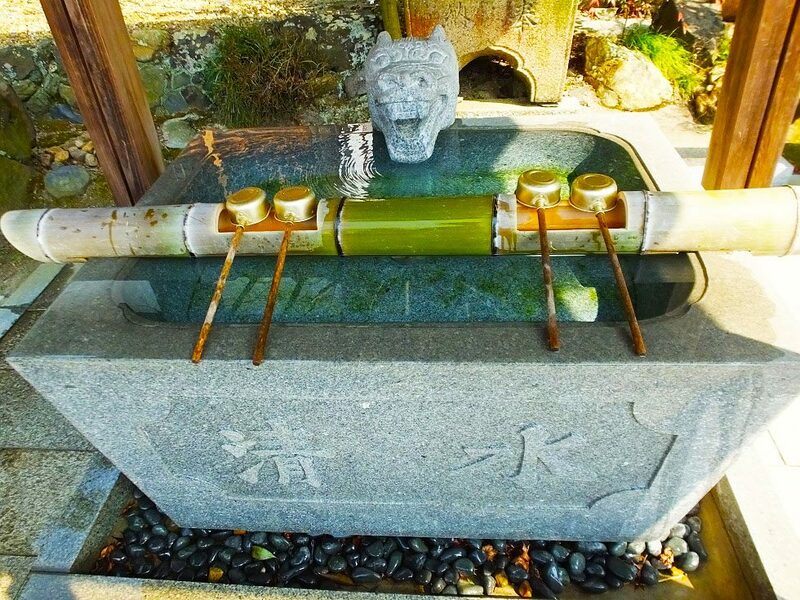 The destination is called otabisho, which is a resting point for deities on mikoshi. The three deities stay there for a week. 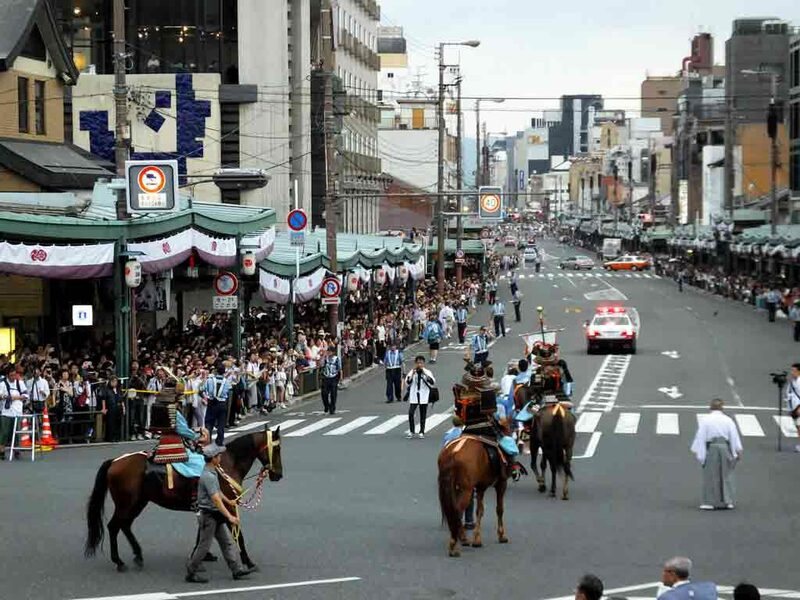 On the 24th, they are carried back to Yasaka Shrine. On the 28th, Mikoshi-arai (mikoshi purification) is held again. Then all rituals of the mikoshi are over.